Identify and Design: To explore potential partnership, we look to identify potential partners, gather information and create programs that are impactful and linked to a companies’ thematic area of interest. Companies can also support ongoing programs or sponsor existing initiatives on topics relevant to core business, philanthropic or developmental priorities. Planning: Once defining priorities are established, partnership initiatives and programmatic outlines can be developed. This often involves outlining next steps, defining a clear plan of action, and formalizing the process through a memorandum of understanding or letter of intent to outline future collaboration. Implementation: To effectively implement a partnership and achieve results, the parties must identify shared objectives, including local partners and country level agencies to work with, as well as establish a timeframe for deliverables, ongoing indicators for communication, and guidelines to measure performance. Review and Follow-up: The SDG Fund seeks to develop relationships with its donor partners, and to equip partners with the tools they need to make an impact and leverage complementary expertise on the ground. By offering a real time monitoring system to effectively evaluate and monitor the partnership and identifying opportunities for continued collaboration, it is likely that projects will be more sustainable and scalable. 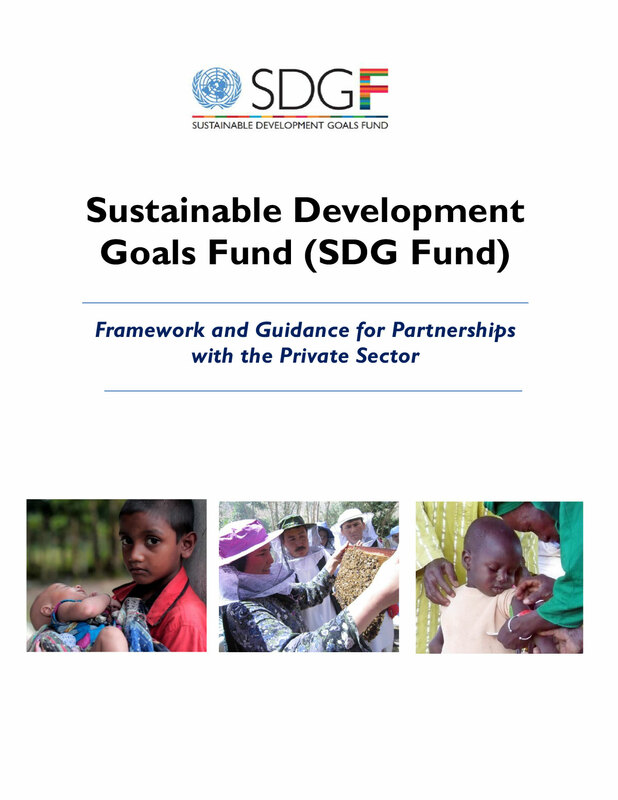 The SDG Fund created a step-by-step management process for developing and managing partnerships between the private sector and the SDG Fund. This process has been streamlined for a quick turnaround time.